After a lot of leaking, the Moto X4 made its formal debut at IFA. But it looks like even a released phone can still be leaked if it has two small words printed on the back of it: Android One. 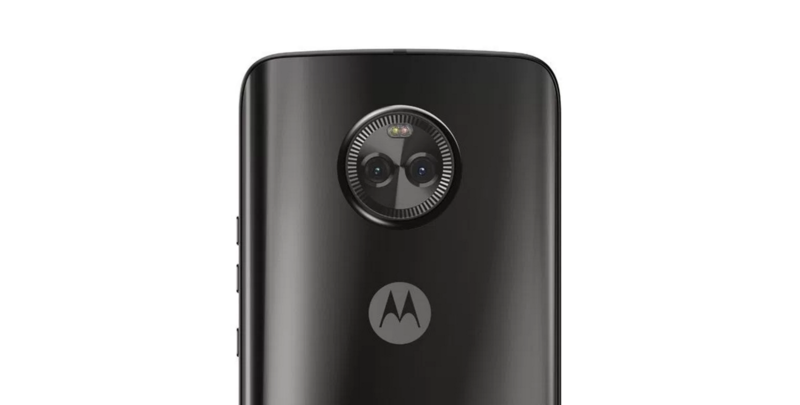 That's right - the latest leak from pro leakster @evleaks depicts a Moto X4 with a small Android One tramp stamp on its back. Could this be the first Android One phone for the US? It's been rumored for quite some time that Google's Android One program would soon come to 'Murica, but we never had any concrete evidence of this. 9to5Google is claiming that the Moto X4 will indeed be the US's first Android One phone. This makes some sense, as unlike Cherry Mobile, General Mobile, or even Xiaomi, Motorola is a known brand stateside, and basing our first Android One device off of an existing phone would allow Google to properly gauge the market's interest in it. This would also line up with the rumors of the X4 being a Project Fi device. Aside from the software, the Moto X4 Android One edition should have the same specs as its non-tramp stamped brother. That means a 5.2" 1080p display, a Snapdragon 630, 3 or 4 GB of RAM, 32GB or 64GB of storage, a 12MP/8MP dual rear camera setup, a 16MP front-facing camera, a 3000mAh battery, and IP68 certification. We're not too sure about pricing or availability, but we'll hopefully hear more about this soon.